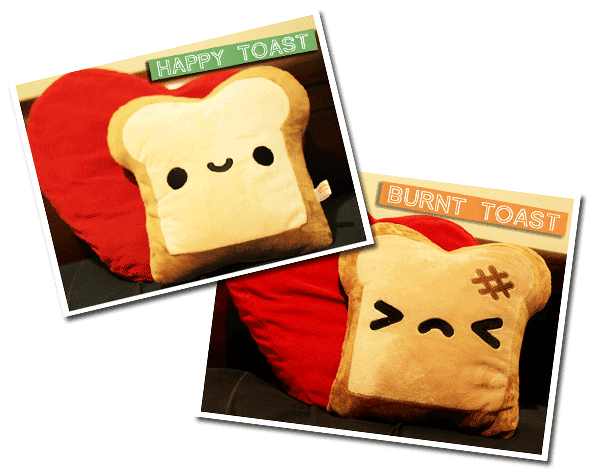 I ♥ my toast pillow. He's so squishy and adorable! Thankyou so much for following our blog it means so much to us.